﻿ What is palm oil? Palm oil is an indispensible part of our daily lives: the WWF estimates that palm oil is an ingredient in around 50 per cent of all supermarket products – from detergents and lipstick to ice cream and sausages. In addition, much of the palm oil that is produced ends up in our vehicles in the form of biofuel. The production of palm oil has in the past involved clearing large areas of rainforest and drying out peatlands, releasing greenhouse gases in the process. Find out more about the challenges in the palm oil sector. Palm oil cultivation needs to be organised on a sustainable and environmentally sound basis. Various certification systems lay down minimum standards for palm oil cultivation. Read about how they work here. Palm oil is produced from the fruit of the oil palm (Elaeis guineensis). Humans have used it in their diet for more than a thousand years. The oil palm, which was originally native to Africa, is now grown in almost all the tropical regions of the world. The main plantation areas are in Indonesia and Malaysia. In 2015 these two countries produced around 53.5 million tonnes of palm oil (IndexMundi, 2016). Indonesia alone has 13 million hectares of land planted with oil palms – an area equivalent to almost all the farmland in Germany. Oil palm cultivation is also expanding in South America and Africa. For example, IndexMundi calculates that Brazil’s annual output of palm oil rose from 120,000 tonnes in 2002 to 340,000 tonnes in 2015. This puts Brazil in twelfth place in the ranking of palm oil producing countries. The oil palm is a highly versatile plant. It takes between three and five years for a tree to reach its full commercial potential. After four to six years the yield stabilises, and not until the tree is about twenty years old does productivity slowly decline. The old palms are then replaced by new ones. An adult oil palm produces clusters of fruit weighing more than 20 kg about 15 times a year; the fruit grow in large, dense infructescences or bunches. On account of its high yield, which averages 3.69 tonnes per hectare, as well as other characteristics that make it of interest to industry, the oil palm is now the most successful and by far the most productive of all oil plants (see WWF Deutschland, ‘Auf der Ölspur’, 2016). Furthermore, the oil palm is robust and generally free of pests and diseases. Valuable oils are obtained from both the flesh and the kernel of the oil palm fruit: palm oil from the fruit flesh and solid palm kernel oil from the seed of the fruit. The seedling stage lasts for about two months. It ends with the formation of the sixth leaf. After the seedling stage the plant produces divided leaves that are increasingly feathered. The trunk of the oil palm does not develop until the plant is three to four years old. A palm can grow up to 60 cm in a year. An oil palm starts to bear fruit once it is three years old. The bunches are harvested with a sickle-like blade attached to a long bamboo pole. Oil palms reach a height of 30 metres and can live for 80 years. Palm oil is obtained from the yellow or orange-coloured flesh of the fruit. Shortly before harvesting the oil content of the fruit is at its highest – between 45 and 50 per cent. After harvesting the ripe fruits are sterilised and pressed. This yields crude palm oil (CPO). Palm oil has many useful properties. It is semi-solid at room temperature and so does not need to be chemically hardened. It is also neutral in taste and very stable when heated; it has a long shelf life and makes foods particularly spreadable. On account of these properties palm oil is used in products as diverse as margarine, convenience foods, baked goods and confectionery, as well as in the manufacture of candles, cosmetics, soaps and detergents. Because of these unique natural characteristics, it is very difficult to find substitutes for palm oil. Almost 70 per cent of the world’s palm oil is used in food production. Another five per cent is used as a biofuel. The remaining 25 per cent is used in cosmetics, soaps and detergents, candles, or as a lubricant in industry. According to the United States Department of Agriculture (USDA, 2016), global production of palm oil in 2015 totalled almost 59 million tonnes – of which just over 20 per cent was from sustainable production. This required 17 million hectares of land, or roughly 1.2 per cent of all the world’s farmland. After Indonesia and Malaysia, which supply about 85 per cent of the palm oil on the world market, the largest producers of palm oil are Thailand, Colombia and Nigeria. The largest importer of palm oil is India (22 per cent), followed by the European Union (14 per cent, 10 million tonnes) and China (11 per cent) (IDH, 2016). 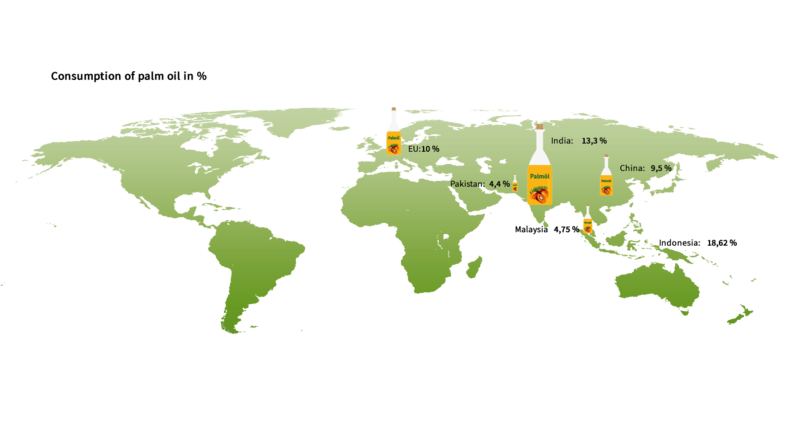 The largest users of palm oil are India (9.1 million tonnes) and Indonesia (8.5 million tonnes) – countries in which palm oil is traditionally used for cooking. The EU is the third-largest consumer of palm oil. Germany’s direct imports of palm oil total around 1.3 million tonnes per year, with an additional 600,000 tonnes being imported as constituents of other finished and semi-finished products. Germany accounts for just under two per cent of global palm oil consumption. Palm oil is widely used in ready meals, largely because of its heat resistance. 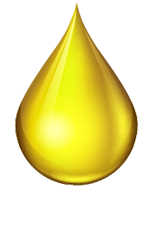 Palm oil has a number of excellent properties, including good melting behaviour. Palm oil provides the creamy texture of spreads for bread, and it is neutral in taste and smell. Palm oil is used as a detergent or emulsifier. Biofuels are made by mixing conventional fuel with fuel from plant-based raw materials such as palm oil. After the oil has been extracted from them, the kernels of the palm oil fruits can be made into palm kernel meal for use as animal feed. Although they are obtained from the same fruit, palm oil and palm kernel oil have very different properties. Because of its consistency, palm kernel oil is used mainly in the confectionery industry. It is valued as a carrier for flavours and vitamins that could not be incorporated into food without it. 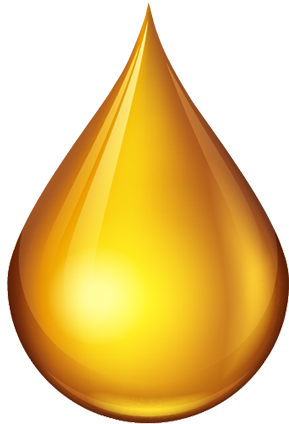 On account of the special properties of palm kernel oil – which are not found in any other vegetable oils except coconut oil – there is also strong demand for it from the cosmetics and detergents industry. Palm kernel oil is used in cosmetic products such as skin creams and lipstick. Shampoos, soaps and detergents contain substances known as tensides that are derived from palm kernel oil. Where is palm kernel oil used? According to the United States Department of Agriculture (USDA, 2016), around seven million tonnes of palm kernel oil were produced in 2015. Direct imports into Germany totalled around 0.43 million tonnes, with a further 0.09 million tonnes entering the country as constituents of other finished and semi-finished products. This is less than eight per cent of the quantity traded worldwide (MEO Carbon Solutions, 2016). More than 120,000 tonnes of the palm kernel oil imported into Germany was also consumed here. The largest users in 2015 were the manufacturers of detergents, cleaning products and cosmetics industries, who accounted for almost 80,000 tonnes. Palm kernel oil is also used in the food sector (almost 30,000 tonnes) and the chemical and pharmaceuticals industries (approx. 15,000 tonnes). Consumption of palm kernel oil in the food sector has declined significantly – by almost 25,000 tonnes – since 2013, but use in the detergents, cleaning products and cosmetics industries has increased by about 10,000 tonnes in the same period. Palm oil and palm kernel oil can be modified through complex chemical conversion processes. This produces derivatives such as tensides and emulsifiers that can be used in cosmetics and detergents. Emulsifiers make it possible to combine two liquids that would normally separate – such as oil and water. Tensides are detergent substances. The derivatives of palm oil and palm kernel oil are widely used ingredients for which it is currently almost impossible to find usable alternatives with comparable properties.